I read this article and found it very interesting, thought it might be something for you. 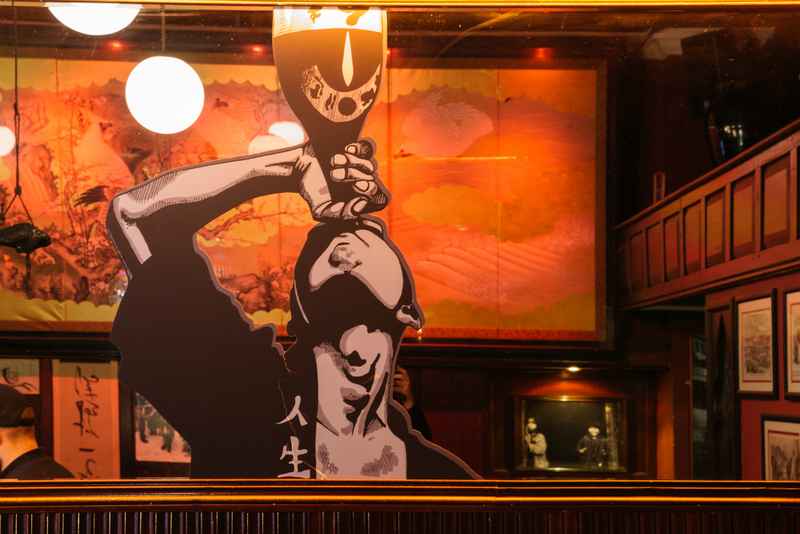 The article is called Barfly: Izakaya Sake Bar Yamamori and is located at https://www.totallydublin.ie/food-drink/food-drink-features/barfly-izakaya-sake-bar-yamamori/. I didn’t quite understand the profundity of jet lag until I travelled to Japan with an old friend to jointly celebrate a birthday some years ago. At best I imagined that I would somehow be immune, at worst that it was an apocryphal tale told by seasoned collectors of air-miles. I would pit myself against Tokyo, that cyber megalopolis of unceasing cortex-pounding hyper stimulation, and emerge unscathed. After three days and perhaps six full hours of sleep I began to understand the depth of my folly and the threat to my very sanity — it was for me, truly the land of the rising sun. I would rise from my bed at 3 or 4 am, take a bath and sit in a park next to the hotel, nursing a beer from the conveniently placed vending machine. I was adrift in my own purgatory. Upon my return, rendered almost insensate with exhaustion and constant doorframe concussions, the only balm to my state of perpetual wakefulness would be found in the smallest room of our suite on the 28th floor. Not the fleeting loveliness of the blossoming Sakura in Kyoto, not even the unalloyed joy of belting out More than this in the very booth that Bill Murray had in Lost in Translation. No, my most enduring memory of Nihon is of spending time astride the futuristic Buck Rodgers Toto toilet which would whisper encouragements to void my bowel fully and offer felicitations in the form of temperature-controlled spritzes and tinkling melodies. Never before (or after) has a porcelain receptacle been more pleased to accept my waste. What could be more culturally illuminating than an analysis of the manner in which different peoples of the world choose to drop their heat. The oh la-la of the Parisian strap-hanging squat-hole, the ding an sich of the Teutonic stool-shelf. This however is the work of another day. You won’t find a Toto here at Izakaya Sake Bar but you will find an immersive introduction to the noble rice wine that remains little understood to most westerners. I pull up early on a dank Tuesday with my girl and Tee-San, a noted japanophile of my acquaintance and we take some seats at the handsome bar. 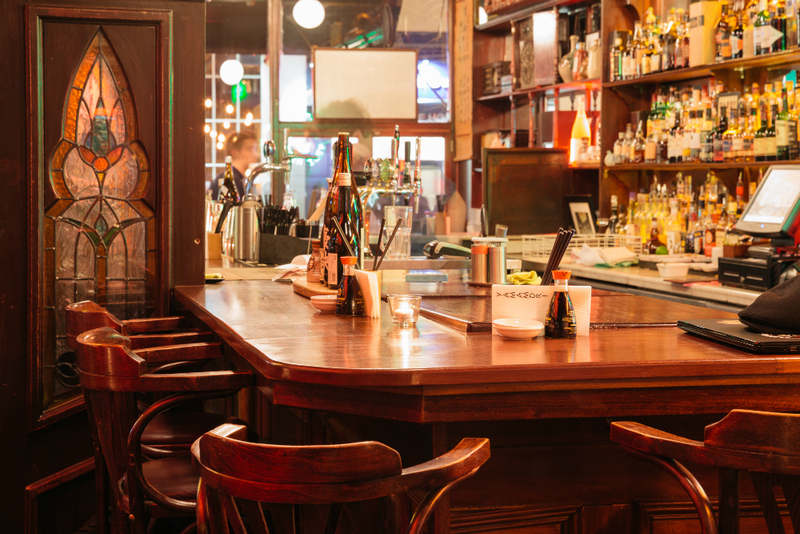 It appears to me that Yamamori has bedded into the old Bewley’s space in a way that Café Bar Deli or the ill-fated Café des Irlandais never did, it feels like it belongs. It’s comfortable, dimly lit and there’s a nice buzz coming from the dining room. Time to go down the rabbit hole. At our server’s suggestion we begin with the highest grade available, a Dai-gingo-shu (Dassai 50, Otter Festival), served just below room temperature. Crucially, there is great attention to detail on display, as befits a culture where ceremony is central to the most quotidian transactions. The Sake is poured from a tokkuri flask into masu, those wooden boxes that seem designed to confound the non-Japanese. This is true of many things in Japan. It is delicate, clean on the palate and almost floral. T-San likens it to blowing a florist. This may or may not be the case. Next up – Ichinokura Mukansa Cho-karakuchi, its tokkuri sitting pretty in a bowl of crushed ice, a black paper kerchief about its neck. This one is almost vegetal. Tee-San mouths the words ‘palma violets’ in my direction. Finally, a junmai-shu (Shirakagabegura Kimoto), served warm. This is deemed an excellent food sake. For good measure we order a couple of pours of Shochu, a vodka-like grain spirit with a lower ABV. It’s not quite low enough, but provides a nice jolt. As if to take revenge upon the Japanese nation we finish-finish with a sampling of beers (exclusively imported) from the Hitachino brewery. It’s been quite the adventure. The pleasant and urbane Graham Ryan, scion of the Yamamori empire, has spent five years living in Japan and the respect and knowledge he brings to this endeavour is exacting and wholly appropriate. He tells me that he plans to roll out the Sake Bar concept across the other branches. This is good news. His staff too are well drilled on their subject, charming and happy to guide the uninitiated. A word to the wise — sake sneaks up on foolhardy gaijin like an inebriation ninja. As I write this I am jet lag free but it feels as if a taiko drum troupe is hammering hard inside my head. Please drink respectfully. Kanpai!